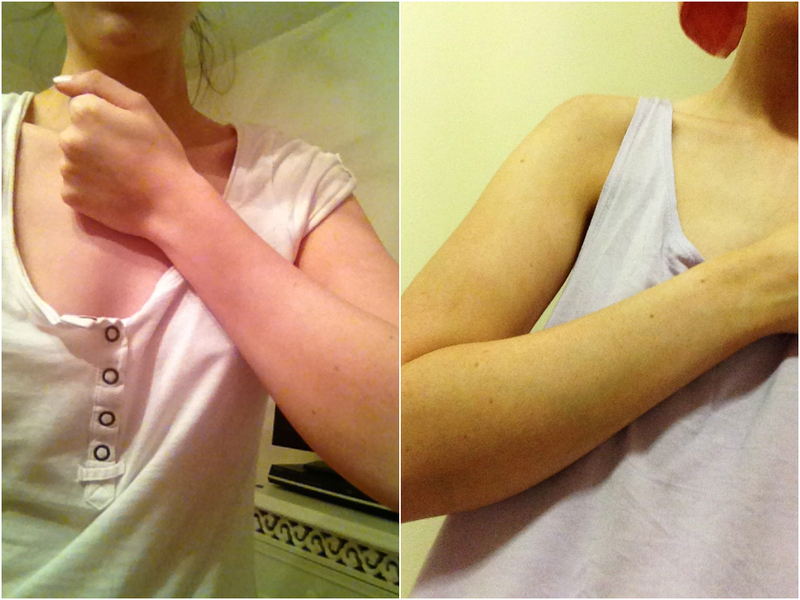 By now you’ll know I’m a freak when it comes to fake tanning, it’s like my permanent safety net. I made a whole post about my weekly routine a few months ago which you can read here, where I briefly rambled about my obsession with the stuff over the use of other methods like sunbeds and just embracing the paleness. I’ve used nearly every tan under the sun (ah look what I did there) and got myself into a bad habit of using cheapo St Moriz Dark Lotion; while it was penny-friendly and more moisturising than their mousse it had the worst biscuity smell going. I guess for just £2.99, that was the price I paid. Until my birthday came along, I was none the wiser to Cocoa Brown 1 Hour Tan. My sister had bought me it after hearing rave reviews, so I immediately gave it a try. I used it just like my St Moriz, applying before bed and waking up for the results. I was disappointed to see I was only slightly less pasty than normal, however looking back I was expecting to be as brown as what I’m used to. After another application the next night I achieved the results I was hoping for; a nicely bronzed, even tan. It wasn’t until I heard about the new darker shade that I knew I had to pick it up, then the rest was history. This stuff has changed my tanning routine completely, and I absolutely love it. I don’t have to faff about shoving it on before bed when I’m tired, or worry about it getting all over my white sheets. I pop this on on a day when I’m not doing much, and then I’m tanned between 1 to 3 hours. How great is that? It’s about time there was a fuss-free tan available, and I’ve only just started praising this one. The tan itself comes in 2 different formulas; the first is similar to the St Moriz Mousse, a dark foam that dries quickly as well as being able to see where you’ve applied. The second is just like shaving foam; it dries instantly when applied and isn’t sticky, which allows me to throw on some clothes and get on with my day until it’s time to wash off. I prefer the latter. After just one application I’m sorted for the rest of the week; as long as I keep my dry areas moisturised ie. knees, elbows, hands and feet (I had a bit of a disaster first time round with my hands… they were SO dark) I’ll have a nice tan for a good 5 days before I have to start scrubbing the patches. Another technique I use if I’m wanting to prolong the tan is applying more than once a week, while exfoliating the dry areas on a regular basis and again keeping moisturised. As it doesn’t take long to tan, this is an easily achievable process. 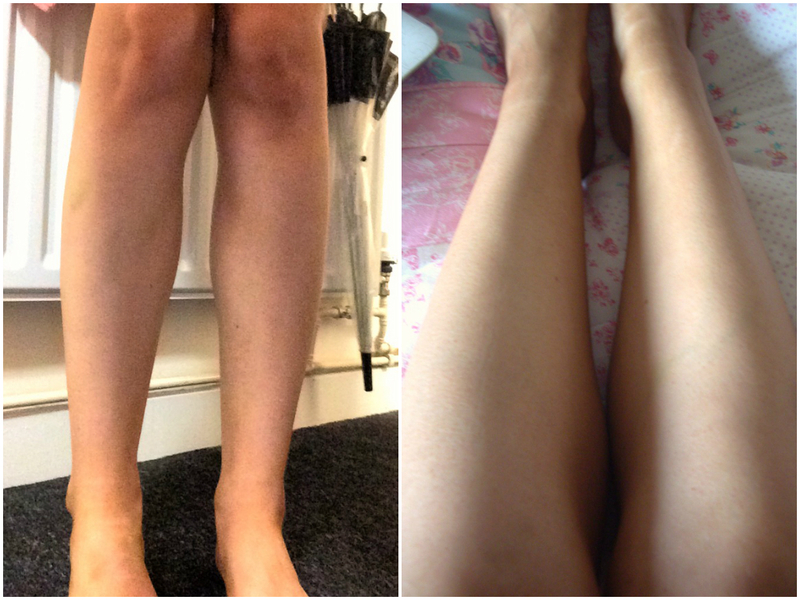 Here are the before & after results below (please excuse my weird, knobbly knees). If you’re as much of an addict to fake tan as I am and you haven’t tried this one yet, I urge you to get to your nearest Superdrug or Primark. For just £6-£7, you won’t be breaking the bank. 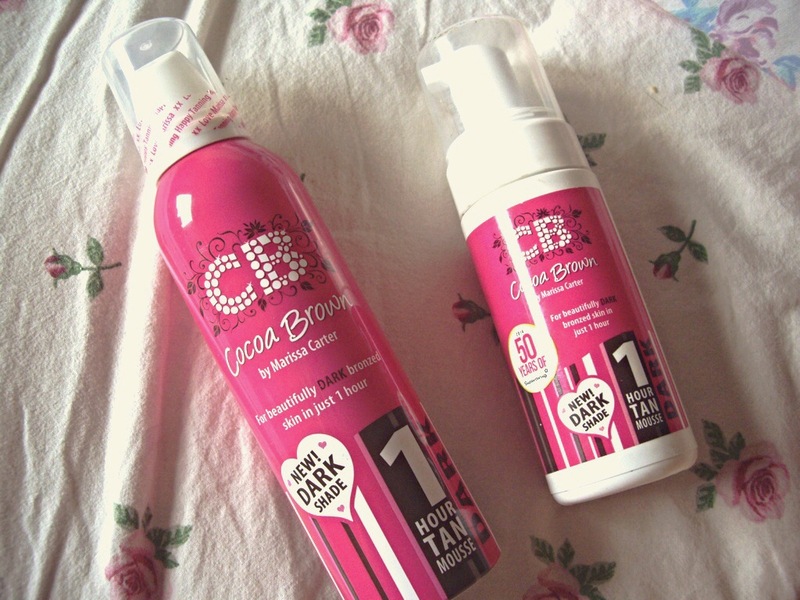 Have you tried the Cocoa Brown range? Love your blog! I’m a dud when it comes to makeup and definitely found this so helpful! Check out my page and follow when you can to keep in touch!